Frizione tirolese alle erbe alpine - confidate nelle forze della natura! Buy now this product together with Balsamo per i piedi al Pino Mugo Tiroler Latschenkiefer 100 ml. Balsamo per i piedi al Pino Mugo Tiroler Latschenkiefer 100 ml. ready for shipment: in stock Balsamo per i piedi al Pino Mugo Tiroler Latschenkiefer 100 ml. Buy now this product together with Balsamo alle erbe alpine Tiroler Latschenkiefer 100 ml. Balsamo alle erbe alpine Tiroler Latschenkiefer 100 ml. 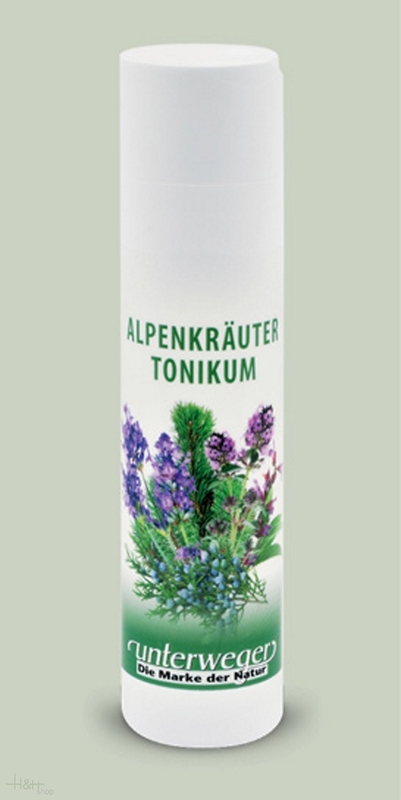 ready for shipment: in stock Balsamo alle erbe alpine Tiroler Latschenkiefer 100 ml. For glowing skin. Pinus sarentensis the mountains of Sarner Valley warms and encourages substances essential for skin renewal. This creates a long-lasting basis for healthy skin. Has moisturizing properties. Juniper Cheese Smoked Dairy Lagunda approx. 300 gr. It is the Caciotta Edelweiss smoked with marks of juniper. Our high-class butter is produced exclusively of pasteurised fresh cream. The fine difference becomes apparent! The well strokeable, pale yellow butter of slightly sweetish creamy taste comes everywhere with pleasure freshly on the table. Frizione tirolese alle erbe alpine Tiroler Latschenkiefer 9,85 EUR / 3,94 €/100 ml. Balsamo per i piedi al Pino Mugo Tiroler Latschenkiefer 100 ml. 8,30 EUR / 8,30 €/100 ml. Franzbranntwein Tyrolean Mountain Pine 250 ml. 8,45 EUR / 3,38 €/100 ml. Crema di marmotta Unterweger 100 ml. 11,45 EUR / 11,45 €/100 ml. Balsamo alle erbe alpine Tiroler Latschenkiefer 100 ml. 10,65 EUR / 10,65 €/100 ml. Gel per le vene al castagno Tiroler Latschenkiefer 100 ml. 9,55 EUR / 9,55 €/100 ml. Gel all' Arnica Tiroler Latschenkiefer 100 ml. 10,65 EUR / 10,65 €/100 ml. Frizione alla calendula Tiroler Latschenkiefer 250 ml. 9,05 EUR / 3,62 €/100 ml. Frizione con Arnica Tiroler Latschenkiefer 250 ml. 9,05 EUR / 3,62 €/100 ml.